We are an Italian company who, for more than fifty years, have been designing and manufacturing components for bicycles, destined for every area of use, in the field of amateur and semi-professional, aimed at those who recognise the qualities that make the bicycle a choice of freedom and intelligence. Our company philosophy, inspired by a passion for our craft, ensure our components: quality in the product planning and quality in production, advanced technology and a particular care in the design. Our components find favour with the prestigious world brand name manufacturers, being chosen as original equipment on their own bicycles; a recognition of the ability of our staff and a further guarantee of the quality of our products. 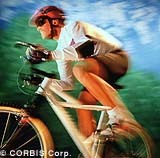 OFMEGA brand are the components of choice for bikers. We have attained UNI EN ISO 9001:2000 certification, a further testimony to the constant development effort being put into high quality products, harmoniously blending functional conception and technologically advanced manufacturing with the very best of ‘Made in Italy’ design. DIN 79100 - FAHRRÄDER - Sicherheitstechnisch Änderungen. Prüfungen. OFMEGA projected and realized a new machine able to verify static and fatigue resistance of the whole production, in strict accordance with the international technical safety standards mentioned above . The precision and versatility of the machine parts allows several different test options and conditions thereby minimising any output error that may come from a single test. OFMEGA invests and trusts in such safety testing in order to ensure the quality level of its products is continuously raised. Our wheels spin faster than the best slot machines at casino sites. Ofmega S.p.A. on the World Wide Web is provided subject to the following Terms and Conditions: ACCESS TO AND USE OF THIS WORLD WIDE WEB SITE IS PROVIDED SUBJECT TO THESE TERMS AND CONDITIONS. THIS SITE MAY NOT BE USED OR ACCESSED WITHOUT USER'S PRIOR ACCEPTANCE OF THESE TERMS. USE OF THIS SITE CONSTITUTES ACCEPTANCE OF THESE TERMS AND CONDITIONS. 1. This Site and the information, names, images, pictures, logo's and icons regarding or relating to Ofmega S.p.A. and its affiliates, products and services is provided "AS IS" and on an "AS AVAILABLE" basis without any representation or endorsement made and without warranty of any kind, whether expressed or implied, including, but not limited to the implied warranties of merchantability, fitness for a particular purpose or non-infringement. In no event shall Ofmega S.p.A. or its subsidiaries, affiliates, contractors or respective employees, be liable for any damages, including without limitation, special, indirect or consequential damages, or any damages whatsoever resulting from loss of use, data or profits, whether in an action of contract, negligence or other tortious action, arising out of or in connection with the use or performance of this Web Site. 2. This Web Site may include publications with technical inaccuracies or typographical errors that will be corrected as they are discovered at Ofmega S.p.A.'s sole discretion. So don't use the site to bet on bookmakers for internet gambling. Also, changes are periodically added to the information contained herein. These corrections and changes may be incorporated into this Web Site at a late date. Ofmega S.p.A. may at any time make modifications, improvements and/or changes to these Terms and Conditions, the information, names, images, pictures, logos and icons described in this publication or the products and services referred to within, with or without notice. As the Internet is maintained independently at thousands of sites around the world, the information, names, images, pictures, logo's and icons that may be accessed may originate outside the boundaries of Ofmega S.p.A.'s Web Site. Therefore, Ofmega S.p.A. excludes any obligation or responsibility regarding any content derived, obtained, accessed within, through or outside Ofmega S.p.A.'s own Web site. 3. The names, images, logos and pictures identifying Ofmega S.p.A.'s products and services in many countries are proprietary marks of Ofmega S.p.A. and/or its subsidiaries or affiliates. Nothing contained herein shall be construed as conferring by implication, estoppel or otherwise any license or right under any patent or trademark of Ofmega S.p.A. or any third party. Except as expressly provided above, nothing contained herein shall be construed as conferring any license or right under Ofmega S.p.A.'s copyright or other intellectual property rights. 4. Ofmega S.p.A. provides access to Ofmega S.p.A. international data and, therefore, may contain references or cross references to Ofmega S.p.A. products and services that are not (readily) available in any particular country. Such reference does not imply that Ofmega S.p.A. in your country intends to market such products or services. All actions resulting from a search of this data must be related to solutions using only products and services announced by Ofmega S.p.A. in your country. 5. These Terms and Conditions shall be governed by and construed in accordance with the law of Italy. Disputes arising herefrom shall be exclusively subject to the jurisdiction of the District Court of 's Brescia, Italy. 6. IF THESE TERMS AND CONDITIONS ARE NOT ACCEPTED IN FULL, THE USE OF THIS WEB SITE MUST BE TERMINATED IMMEDIATELY. Here you can always find advice, news, curiosities and important new arrivals in the bicycle world as well as a selection of links to the best sites dedicated to two wheels. This space is open: send us an e-mail! It will be read, appraised and published. You can communicate with all those who are cycling enthusiasts like yourselves, passing on the useful secrets that you know or the dates and venues of events, competitions and rallies. We would like to announce that in 2003 we will take part at many national and international exibitions. Quality and tradition using the most innovative technology. This is how the Ofmega High Performance® collection was born. A collection dedicated to those who prefer lightness, design and reliability. The Road and Mtb models, created with quality materials and precise manufacturing, improve performance and technique even in the severest conditions. Ofmega High Performance® collection: leave the group and win again. Ofmega High Performance®, THE OFFICIAL TECHNICAL SPONSOR FOR THE 2003 PRATO MARATHON BIKE TEAM WINNER OF THE WOMAN'S GIRO D'ITALIA WITH NICOLE BRANDLI (13 JULY 2003).